The Florida Legislature changed the state’s motorcycle law in 2000 so that bikers over the age of 21 are no longer required to wear helmets as long as they are covered by an insurance policy providing a minimum of $10,000 in medical benefits for injuries caused in a crash. According to AAA, motorcycle fatalities in the state have more than doubled since the helmet law’s repeal. 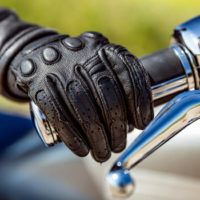 And although NHTSA says that 37 percent of fatalities could have been prevented had the biker been wearing a helmet, some reports say that only 1 in 7 Florida bikers do. Always ride sober and stay alert. Drivers need to keep their eyes open for riders and give them sufficient room, and always maintain focus on the road. Contact an experienced motorcycle accident lawyer. Especially if you are in a serious accident, it is important that you not speak to anyone besides the police about the accident until you have consulted an experienced motorcycle accident lawyer. The West Palm Beach motorcycle accident lawyers of Lesser, Lesser, Landy & Smith, PLLC can help you and your loved ones obtain compensation for your injuries or damages if the accident was the result of someone else’s negligence. Contact us about your case today.